Cream and wine lampshade handmade in the UK. A traditionally styled clip on scallop design made with a cream fringe and wine braid trim. Please see additional image for colour braid options. 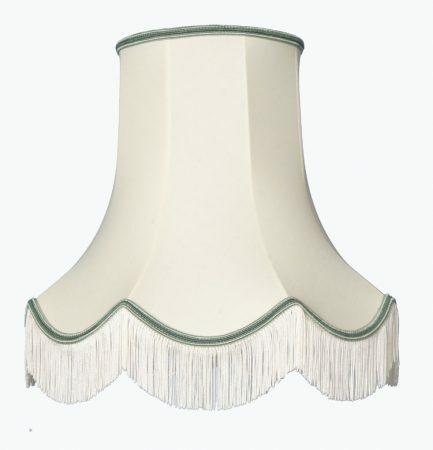 Do you make any of these lampshades with an aubergine or lilac coloured braid trim? This lampshade is available with the following braid trim colours: Cream & Gold, Cream & Beige, Cream & Pink, Cream & Wine, Cream & Apple, Cream & Navy, Cream & Green.